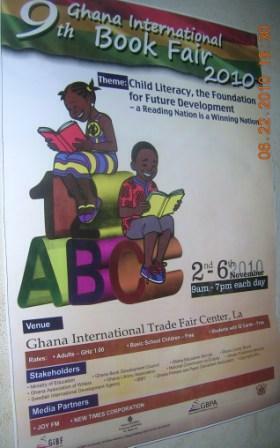 What is the “Ghana Library” site offering? Just saw Geosireads’ post on the Ghana Library site, which is being promoted at the University of Ghana. I can only say a great big thanks to him for mentioning this in his blog, as I certainly wouldn’t have known about it otherwise. Certainly it sounds very interesting, but as usual, there is very little information on the Home page to tell someone what the actual content is. There are implications that institutions have subscribed, and students have automatic rights to accounts, but according to Geosi, there are going to be scratch cards available to gain access, and these will require a payment of fifteen Ghana cedis (approximately ten US dollars). There are some contact details – local, Ghanaian mobiles, and web-based emails, which I will definitely follow-up on – from work though, as this seems like it is aimed at an academic community. And I do work in one, after all! My questions are: what is the content available? How does one access it? Does it have to be read online only? What kind of downloading can be done? What about printing? Are there time constraints – especially if scratch cards are involved? With internet connections so relatively expensive and variable in this part of the world, something which sounds fine may not actually be so when you try to open a file over an erratic connection, which is what most of us are using. So I would like to see what is on offer, and how easy it is to use. And on a more general basis, I am wondering whether the Consortium of Academic and Research Libraries in Ghana (CARLIGH) are aware of this initiative, or have been approached to be a conduit for such ebooks. There is definitely some work to do before I give my opinion on the new “Ghana Library”. A second post will definitely be a necessity! I am not really into making New Year’s resolutions, mainly because I tend to find that I tend to neither remember them, nor bother to do anything about them! But maybe that is because I didn’t chose an area over which I really had some kind of control, and my reading is certainly one of those areas. I am not in school, nor am I studying anything, so I can more or less chose what I want to read – within some constraints, naturally. To Be Read (TBR) pile/shelves: I have more than a hundred unread books on my shelves, and I feel I really should apply myself to lessening this number. They are a mixture of fiction and non-fiction, with a mixture of non-African and African authors and locales. There are a good number of crime/mysteries/thrillers as that is a fiction genre which I have always enjoyed – including the award winning Child 44, by Tom Rob Smith, and Malla Nunn’s Let the dead die, which takes place in apartheid South Africa. Great African Reads: I do need to read some more African writing, and will try to keep up to date with the books chosen by the Great African Reads group at Goodreads. Supply is definitely a challenge here, though I suspect it will be less so for some countries. I already have Uwen Akpan’s collection, Say you’re one of them, and Tsitsi Dangarembga’s The book of not (the sequel to Dangerous conditions), waiting for me. Book purchases: I suppose I should try to restrain my buying of books, but again the environment seems to work against this. I feel if I see something I would like to read – at some point – I should buy it, as it won’t necessarily be available the next time I look. As I have mentioned before, there aren’t that many bookshops here in Accra, nor are there as many libraries as there once were. Kindle: I do have a Kindle, and I am very much still at the experimental stage with this new “toy”. So this is definitely something I need to work on, especially if I can really get my downloading done effectively. So far, I’ve had some success, but not via Wifi, but rather via my laptop, though one book just doesn’t come, no matter when I try to download it. More consistent posting: And last but not least, I am going to try and post a bit more regularly, and not succumb to a whole host of excuses! I haven’t read Petina Gappah’s book, An elegy for Easterly, although it is on my wish list. Although I am a regular listener to the BBC World Service, including the African Service programmes, I seem to have missed this interview. Maybe it was on a weekend that I wasn’t around? or didn’t wake up early enough?